The Danish Ministry of Foreign Affairs is supporting a Strong Cities Network (SCN) pilot project, implemented by the Institute for Strategic Dialogue (ISD) in Lebanon under the patronage of the Ministry of Interior and Municipalities and in Jordan under the patronage of the Ministry of Municipality Affairs. The aim of the project is to build municipal, local-level capacity for Preventing Violent Extremism (PVE) in Lebanon and Jordan. 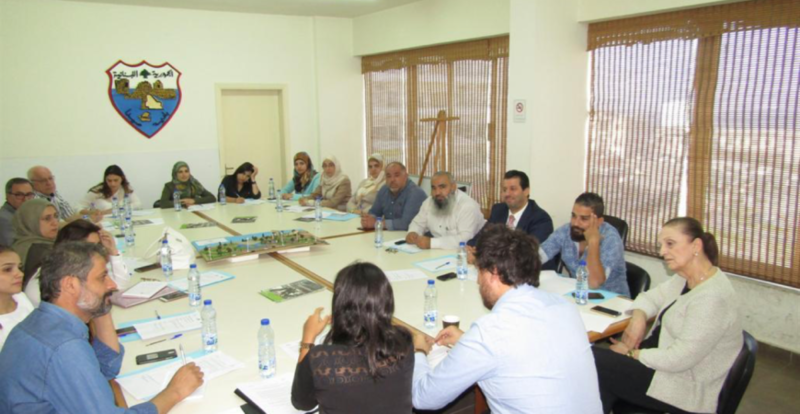 The project has established six municipal-led “Prevention Networks” across Lebanese and Jordanian municipalities. These networks consist of local practitioners who work with youth, such as faith leaders, NGO representatives, government officials, teachers, social workers, community police officers etc. with a focal point based in the municipality. The purpose of the Prevention Networks is to coordinate on PVE efforts and to act as the key local body for determining local P/CVE priorities, to design local strategies and deliver to local PVE activities. Each Prevention Network meets on a monthly basis to identify local risk factors and behaviours in each community to share experiences and good practices to prevent violent extremism amongst youth. The Prevention Networks have recently formulated Terms of References, outlining the PVE objectives and their target groups, and are currently preparing PVE community outreach activities. The project is based on continuous dialogue between the local and national level to support the development of suitable PVE approaches and programmes that serve the needs of each locality, feeding into the development of national strategies and local action plans.